July 1940: as Britain stood alone, the Army exhausted and defeated by the Wehrmacht and the Roval Navy, stretched worldwide, only the English Channel and the RAF remained between Britain and the expected German invasion. But the Luftwaffe's ill-prepared and last-minute assault on the RAF was met by a carefully planned system of fighter intervention, the defensive strategy devised by Hugh Dowding, Commander-in-Chief, RAF Fighter Command. Dowding fought and won Britain's most vital victory, the Battle of Britain. Yet he was dismissed in October 1940. Why?The full story of Dowding's struggle to victory is revealed in this masterly new study by Second World War historian John Ray. Dowding was under daily attack from rivals in the RAF and at the Air Ministry, who wanted a different approach to air defence, despite the severity of the threat and Dowding's success. 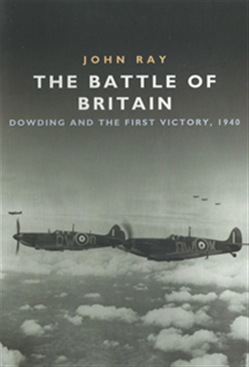 John Ray tracks the course of the Battle and the internal arguments that threatened Dowding's position and RAF supremacy; this new perspective, matching the ebb and flow of bitter argument in the corridors of power with the drama of war in the air, makes for an engrossing study in RAF history and reveals the truth behind the Battle of Britain. Acquista The Battle of Britain in Epub: dopo aver letto l’ebook The Battle of Britain di John Ray ti invitiamo a lasciarci una Recensione qui sotto: sarà utile agli utenti che non abbiano ancora letto questo libro e che vogliano avere delle opinioni altrui. L’opinione su di un libro è molto soggettiva e per questo leggere eventuali recensioni negative non ci dovrà frenare dall’acquisto, anzi dovrà spingerci ad acquistare il libro in fretta per poter dire la nostra ed eventualmente smentire quanto commentato da altri, contribuendo ad arricchire più possibile i commenti e dare sempre più spunti di confronto al pubblico online.